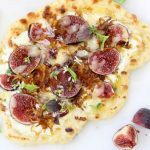 Easy grilled fig and goat cheese pizza made with my rustic thin crust pizza dough, creamy whipped goat cheese, sweet fresh purple figs and caramelized onions. If your taste buds are into purple figs and goat cheese, and you fancy pizza as much as i do, then i got us the loveliest grilled fig pizza appetizer today! 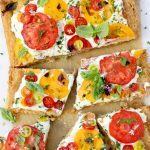 I am on a goat cheese kick right now, it started with the goat cheese crostini and tomato tart, and I simply can’t get enough. Also, it so happens that fig harvest is here. Literally overnight you guys! One day the figs are all green, the next everything is purple and falling off the branches, so they must be picked right away. Figs have such a short life span, one moment they are green, 10 seconds later perfectly ripe and 5 seconds more they are rotten. Such a vicious cycle, right ? So you gotta pick them quick and make good use of them all. Either me or the squirrels will. So I volunteered, simply because: Grilled Fig Pizza you guys! But you know it has been insanely hot, the squirrels don’t even wanna be outside right now. So forget about blasting my oven with a pizza stone in it for an hour. Instead I grill It Indoors! Top it with whipped goat cheese, caramelized onions and fresh figs. Throw it under the broiler flames for just a minute to nicely caramelize the top of the figs and get some fire kisses on that pizza pie. Sprinkle with your favorite fresh herbs like chives and basil, or a handful of arugula and voila! 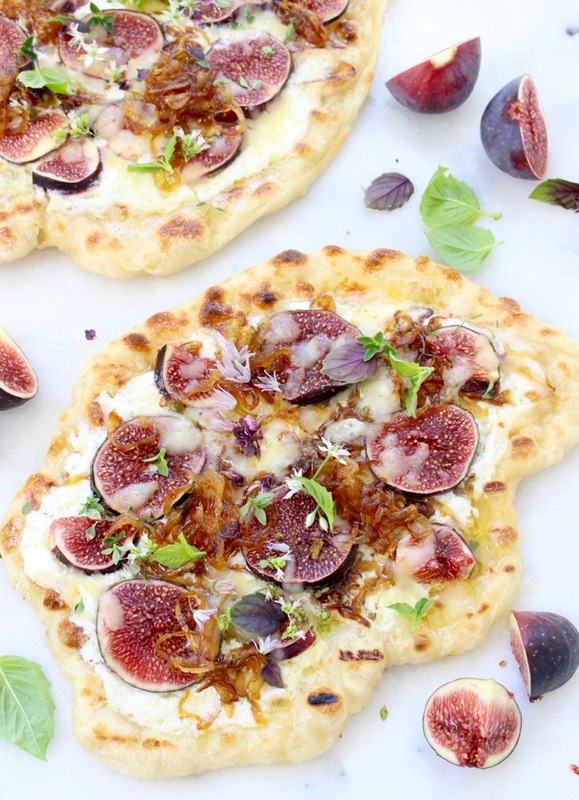 Fig Pizza Perfection! 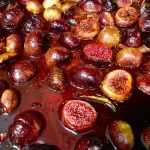 If you have a lot of figs on your hands, then I’d encourage you to make some of this lovely fig jam to use as a sauce. Or roast them with balsamic vinegar, then spoon them on top of your pizza finished with a balsamic drizzle. Figs are high in fiber. Six figs contain about 5 g of fiber. They are also high in calcium and rich in potassium. Figs make a fantastic sweetener for different recipes. As they say, talk is cheap, and everything I say means nothing unless you go make this fabulous Pizza, so let’s get cooking! 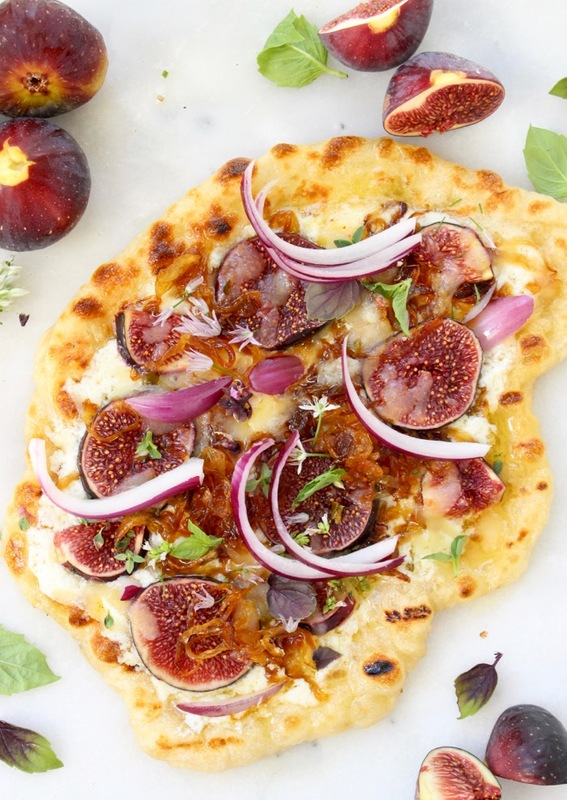 A simple grilled fig pizza made with creamy whipped goat cheese, sweet purple figs and caramelized onions. 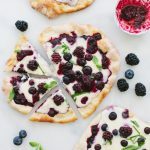 Make the thin crust pizza dough according to the recipe. Divide into 6 or 8 small balls. Drizzle the dough with olive oil as per instructions and allow it to proof at room temperature for 2 hours. Add the goat cheese, olive oil and a pinch of sea salt to the bowl of a food processor. Puree together until smooth and whipped. About 45 seconds or so. Stir in the fresh chives, cover and refrigerate until ready to use. While the pizza dough is proofing, work on the caramelized onions. Set aside until ready to use. Sprinkle your kitchen counter with some flour and form 6 small thin pizza pies. Meanwhile preheat a cast iron griddle on medium high flame. Carefully transfer the pizza pie to the hot griddle and cook it for about one minute per side until nice grill marks form. Use a pair of tongues to easily flip it. Place the grilled pizza pie on a broiler proof tray and spread a thin layer of the whipped goat cheese over the top. Sprinkle with the caramelized onions and top with the sliced purple fig. Reserve a few of the caramelized onions to sprinkle over the top for garnish. Broil for about a minute or so until the broiler flames get to kiss the figs and cheese. 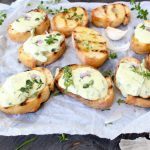 Remove from the broiler and serve sprinkled with the fresh herbs and reserved caramelized onions. 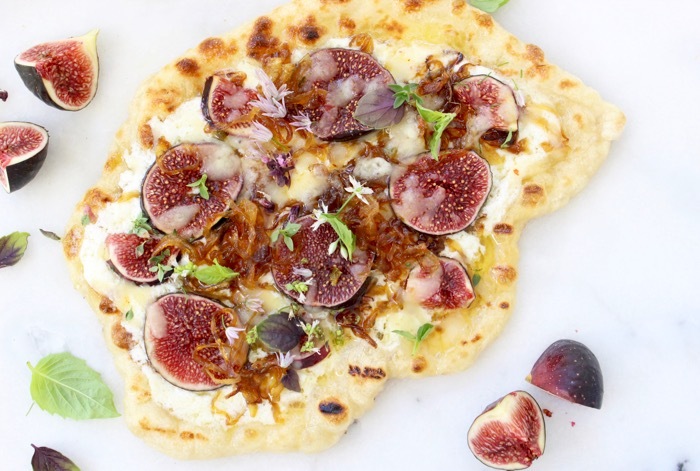 Optional: You can also make a quick fig puree to use as a sauce on your little fig pizzas. Simply puree a few figs in the food processor with a little water, lemon juice and olive oil and use that as a thin layer of sauce. 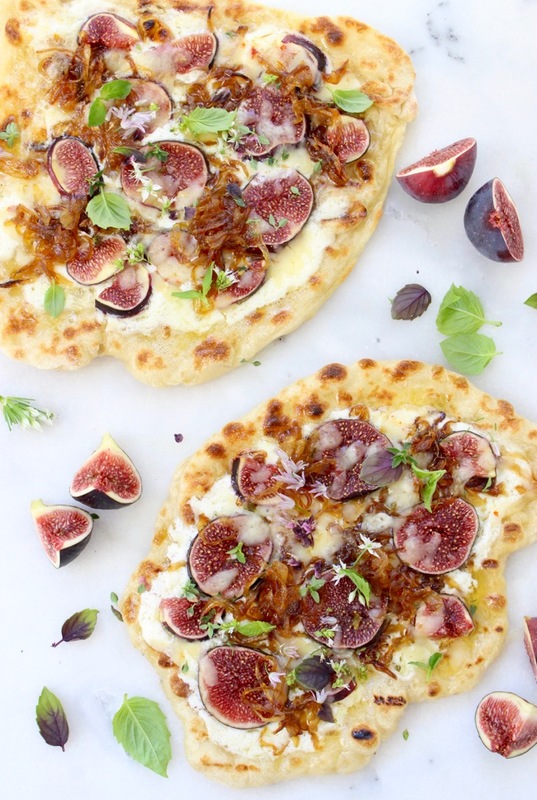 Killer pizza dough and perfect combo with the Caramelized Onions, Figs and Goat Cheese. Like the Holy Trinity or something.